A hot topic of late has been the adoption of SB 1524. The debate on increased container weights in Texas has loomed for years. Â In spite of ï¬erce local opposition to increased truck weights based on safety, infrastructure, and driver/owner operator concerns, SB 1524 will increase Texas road limits for sealed ocean containers moving within 30 milesÂ of all Texas port and international bridges in January 2018. While Texas has always allowed 84,000 on 5 axles, SB 1524 now provides two more options, but not without additional costs and limitations to be considered. For over 20 years Gulf Winds has been the industry leader in overweight solutions in Texas. Starting with our Port warehouse facilities adjacent to Barbours Cut and Bayport terminals allowing max container weights, Gulf Winds clients have benefited from decrease CO2 emissions as well as consistent cost savings on ocean freight. 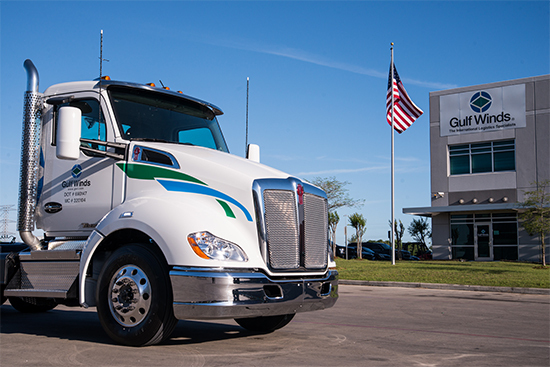 Gulf Winds has also made significant investments in lightweight trucks, chassis, and other specialized equipment to ensure heavyweight options are available to the Houston market. Contact us today for info on how gwiMax can work for you! Dallas/Fort Worth: Are You Ready?